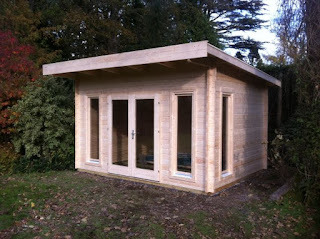 A lovely situation to install a garden office on this occasion with lovely mature trees and views along the River Devon. 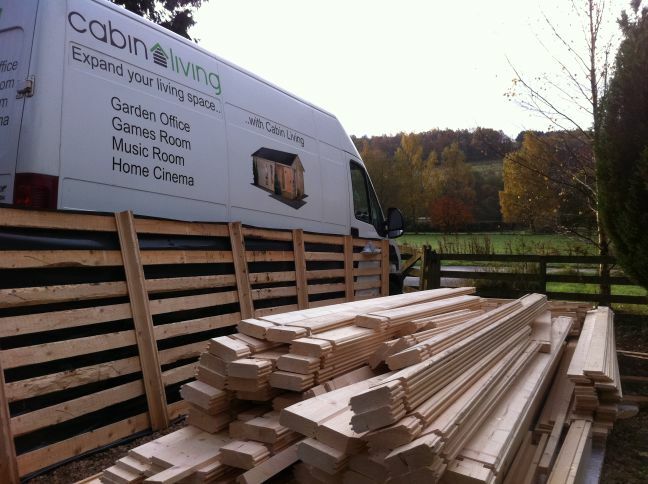 Cabin delivered and time to transfer the timber to the base for assembly. 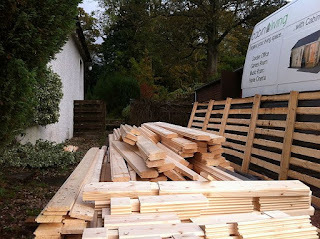 Plenty of pieces in the jigsaw. 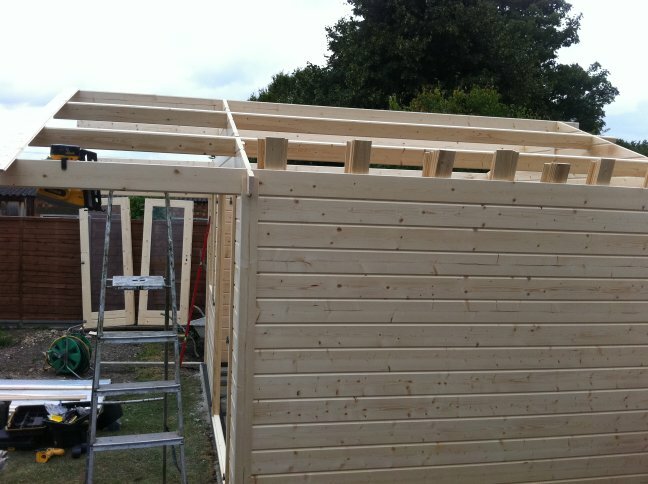 Walls line up. 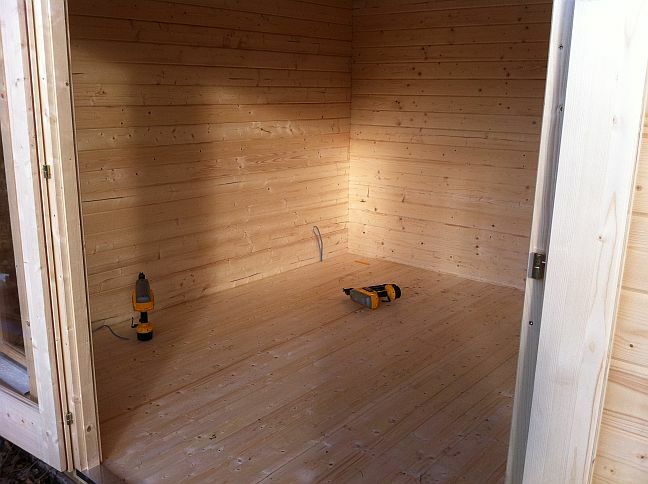 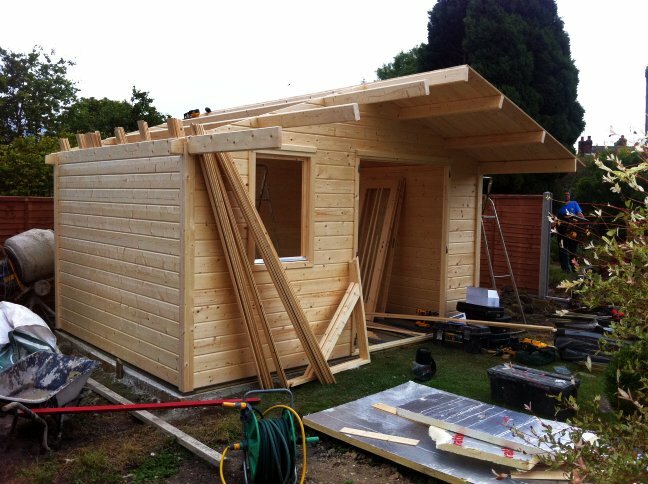 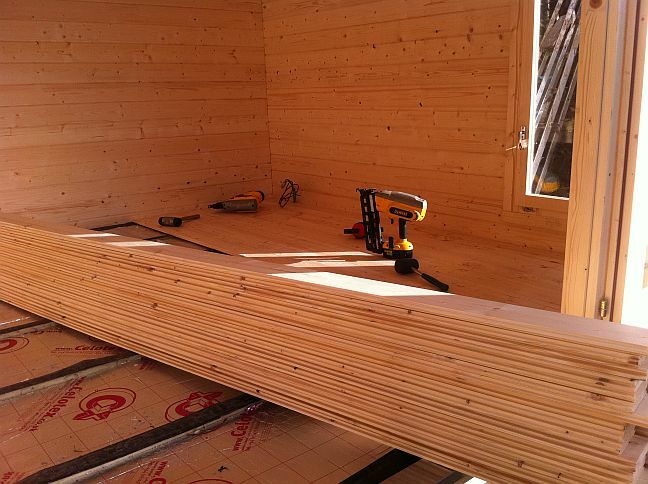 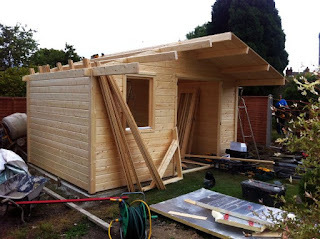 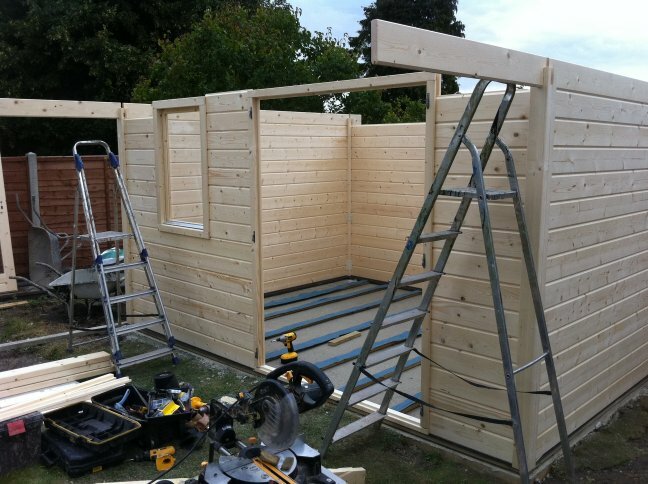 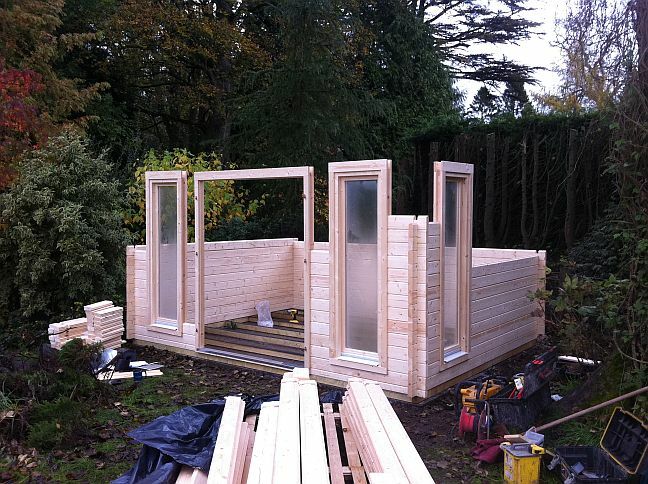 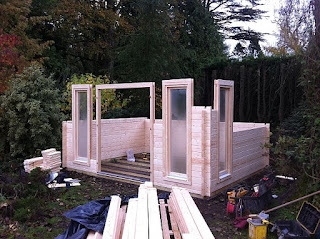 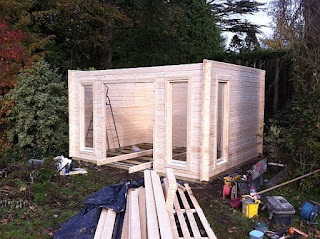 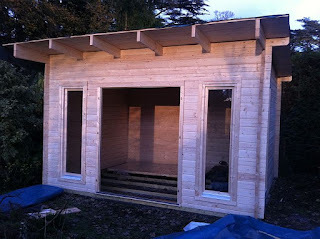 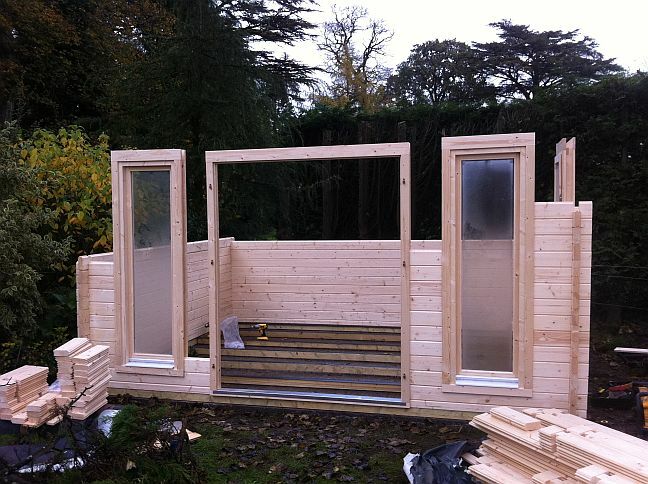 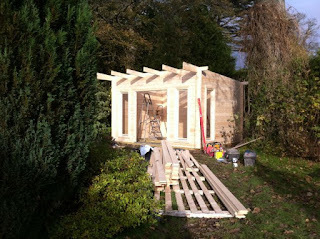 with a low threshold cabin such as this you can use one of the rear wall logs to ensure the front walls either side of the door are in the correct position before fixing them to the floor joists. 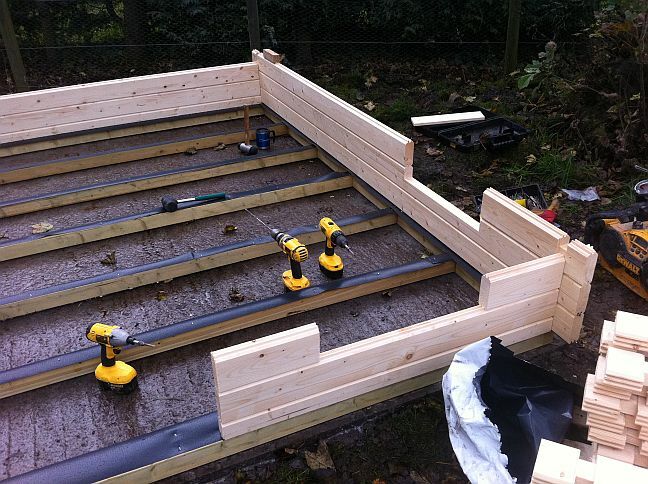 Floor joists fitted with damp proof membrane to avoid rising damp. 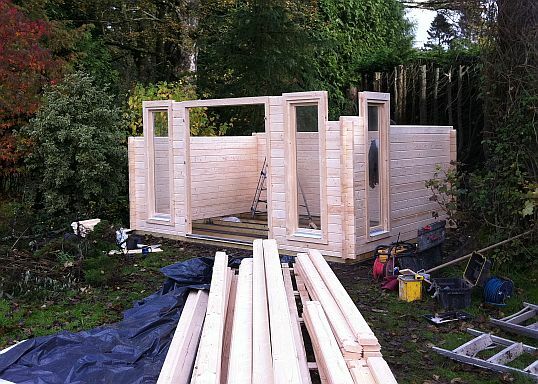 Door frame assembled the windows can start to go in as the walls get higher. A few gaps in the timber pile now. Time to get out the steps as we get above comfortable working height. A low angle roof so first of all we fit a good quality damp proof membrane. 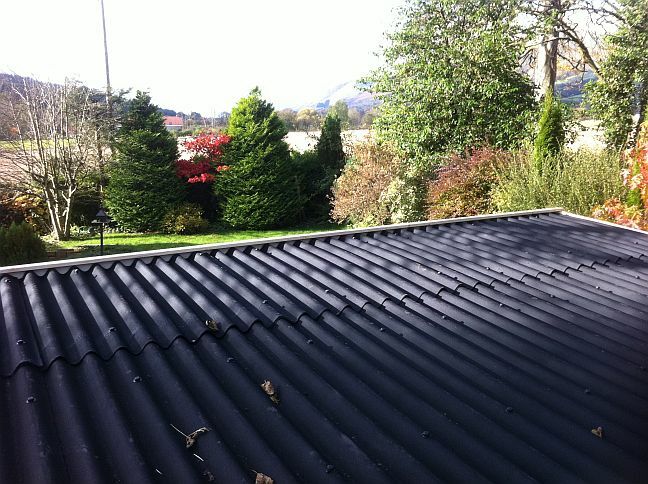 Finally we fit Onduline bitumen roofing sheets. 70mm screw fixings particularly for the triple overlapped sections. A good overlap at the rear for guttering if necessary. Picture perfect in this wonderful setting. 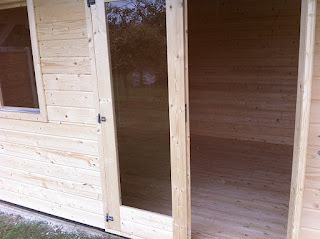 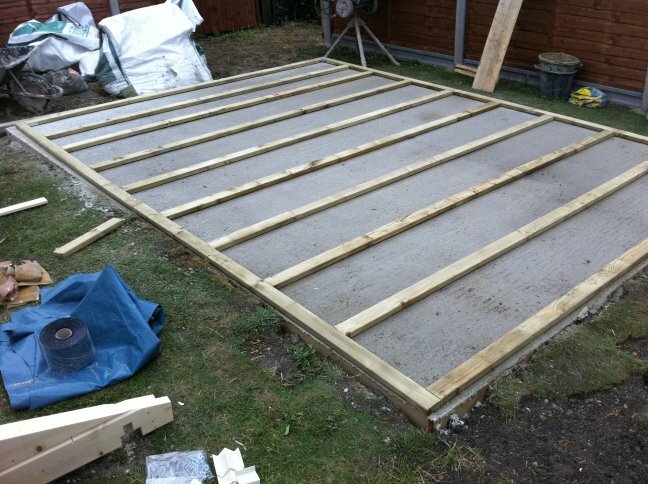 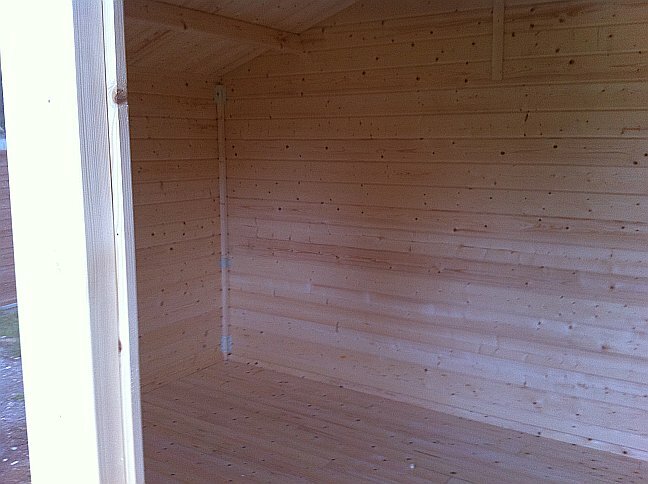 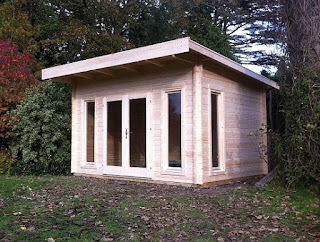 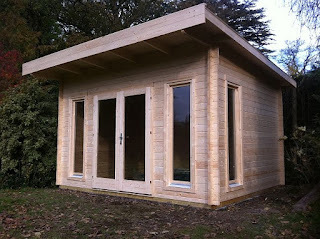 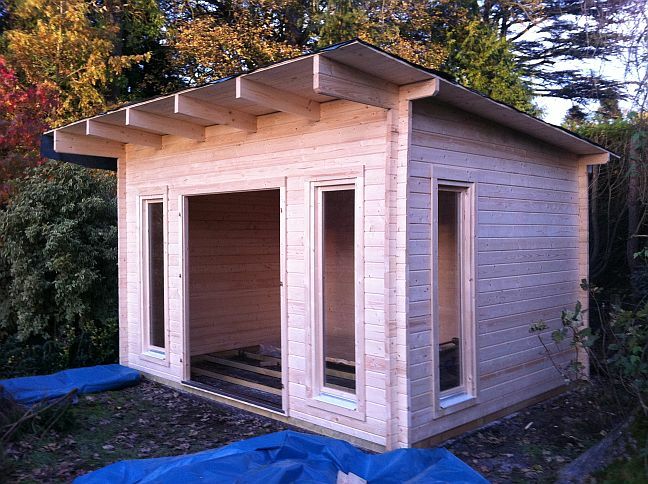 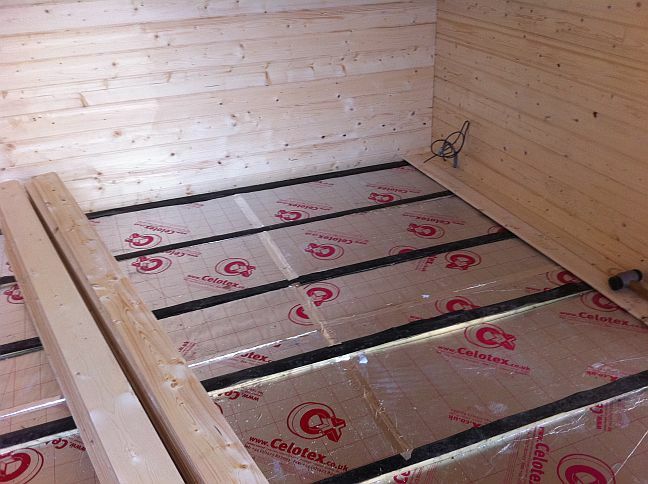 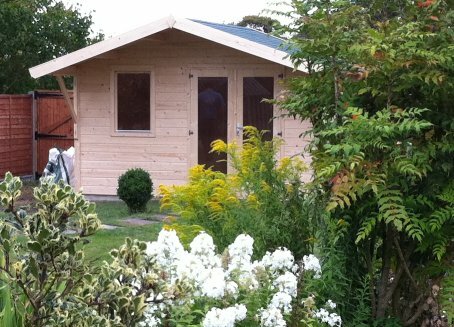 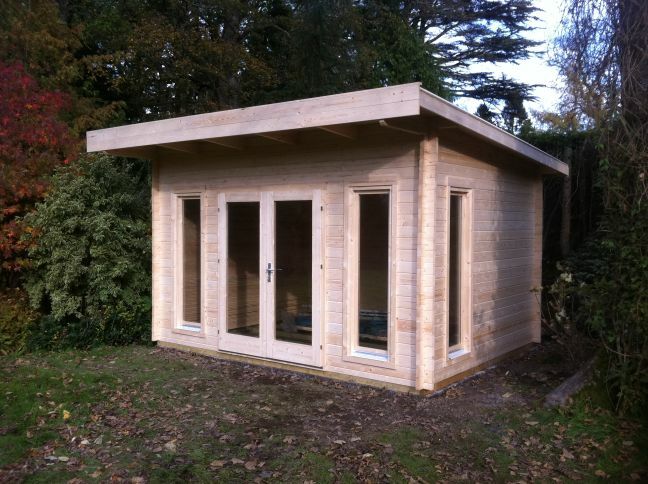 With almost any garden office building we recommend 50mm Celotex insulation fitted in the floor and ceiling. 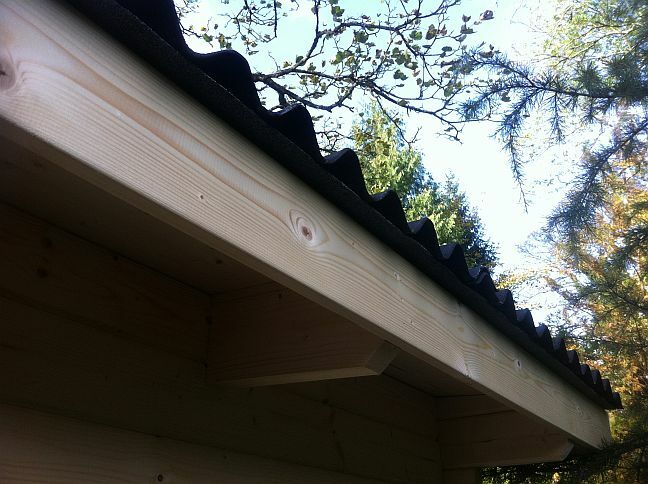 Ceilings are finished with plasterboard mounted between the roof joists to maintain the character of the log cabin. 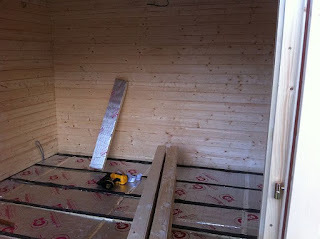 Timber floor over the insulation. 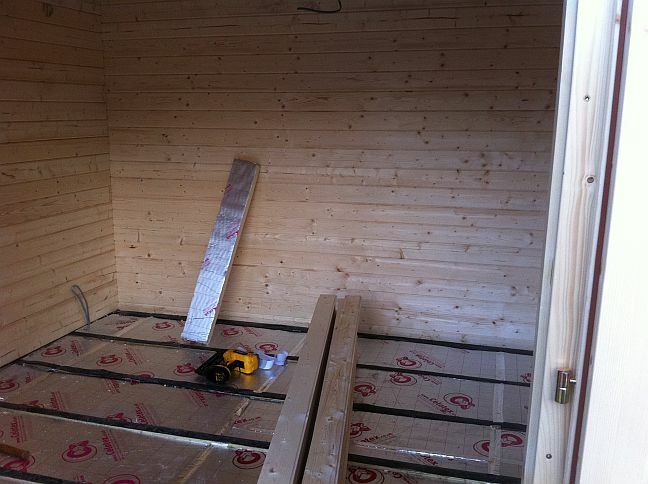 Ready to install the underfloor heating and real wood flooring. 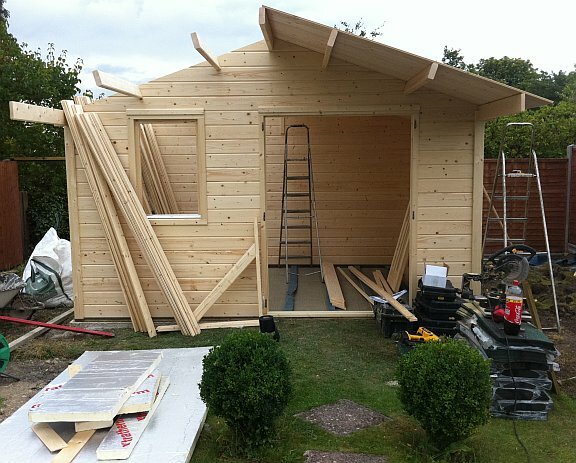 More updates coming soon! 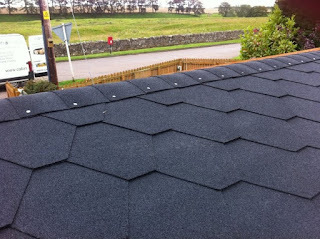 Due to popular demand we now have Black Hexham roof shingles in stock. Our current black/grey hexham and bourne tiles are both best described as mottled grey whereas the new hexham black tile is black! See the photos below to get an idea of just what these new tiles look like. 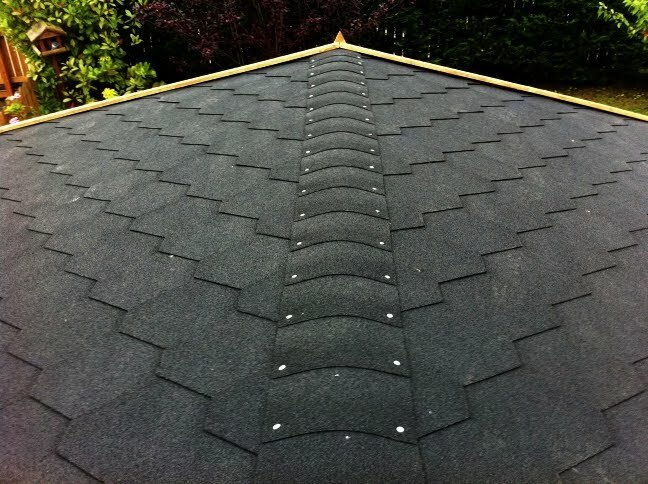 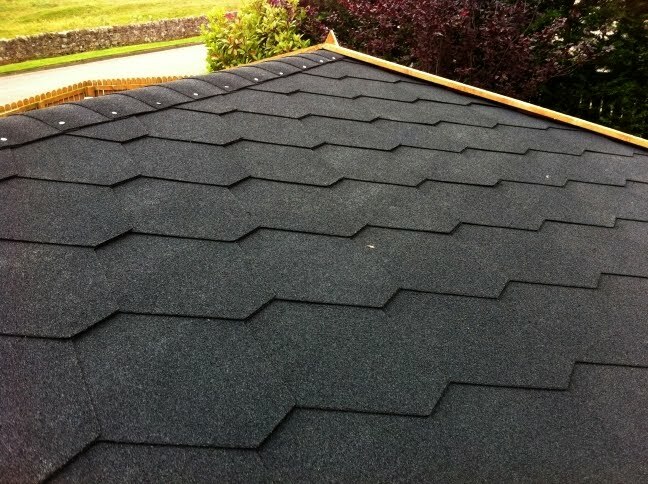 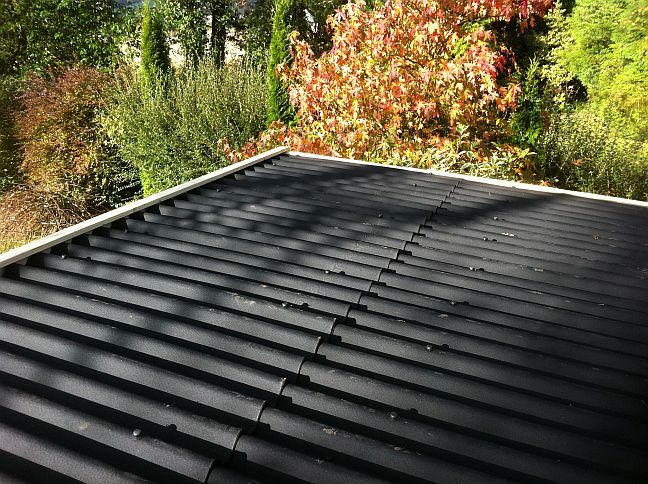 We are leading suppliers of bitumen roof shingles with prices permanently low at £10 per sqm. Delivery will normally be £50 direct to your door within a few days but you can save on delivery if purchasing orders in excess of 30sqm. 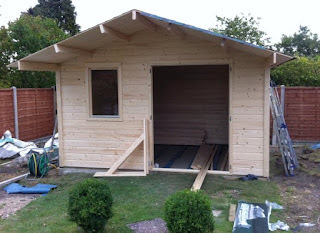 Call us on 01259 769203 to place an order. 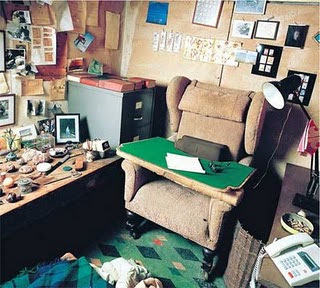 Interesting articles on the web and news today regarding the workspace of a certain Roald Dahl. 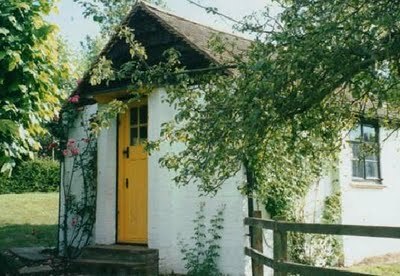 The peaceful solitude of his writers hut complete with armchair and writing board. 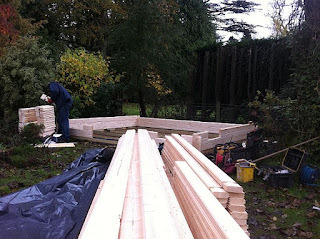 Apparently he hated sitting at a desk and wanted to save his aching back. 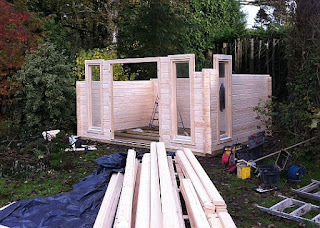 A detailed article in the Metro provides a little more insight into this famous "Shedworker"
We've been rather busy these past few weeks so a bit of catching up to do on the blog! Here's the first of many! 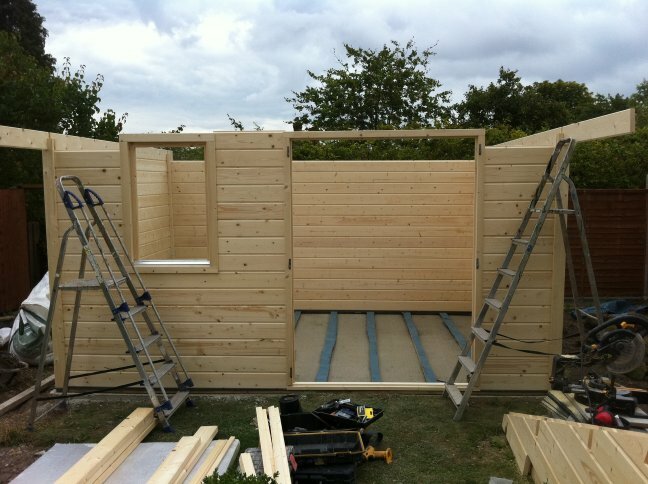 One of our summer installations took us to Pirton near Hitchin and Luton. 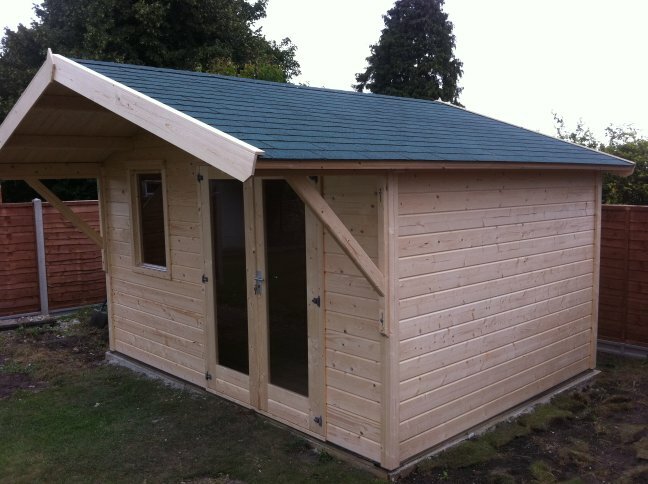 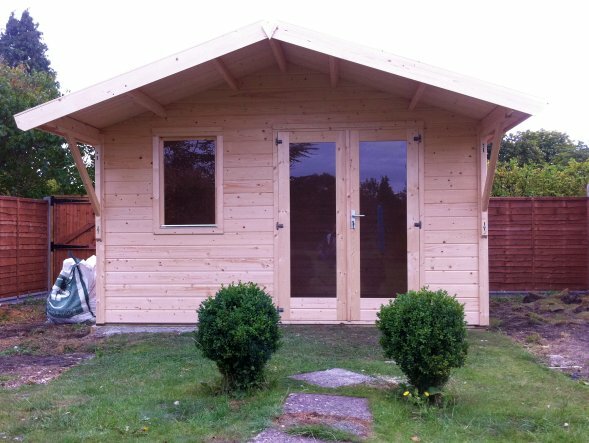 The Mokki log cabin is part of our finnforest log cabin range and although it is toward the budget end of our range the quality of finnforest timber is quite clear. 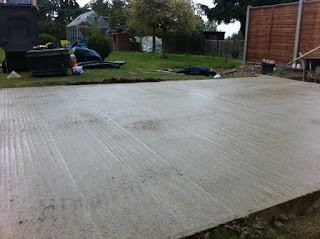 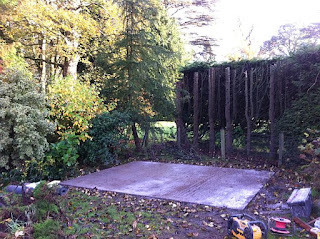 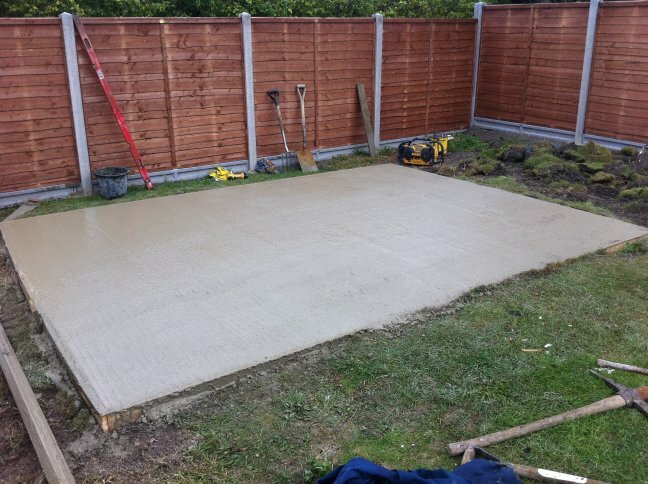 Concrete base completed on day one. 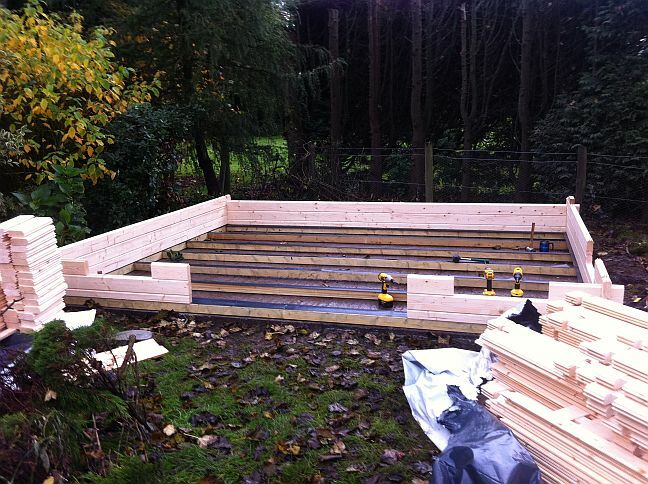 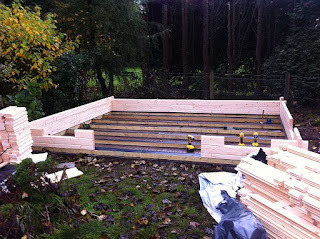 First the floor joists are cut to length and evenly spaced within the concrete pad. 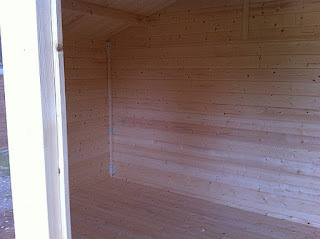 Budget finnforest cabins make use of corner channels instead of the more traditional interlocked corners of most models. It could be argued that these types of joints may provide better weather protection. 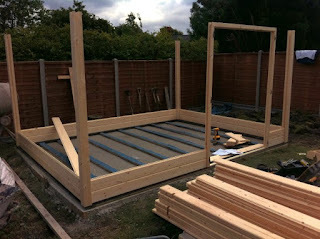 Once all the corners are in place the process of assembling the walls is quite straightforward. 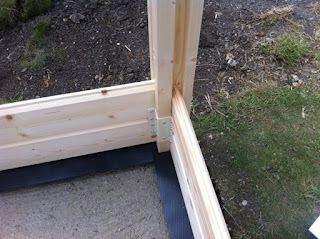 Check the levels of the door frame, posts and window before fitting the wall apex sections. Again check the corner posts are vertical before starting to fit the roof boards.